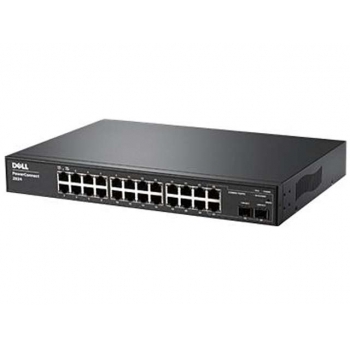 The Dell™ PowerConnect™ 2800 family of switches offers incredible value, flexible management capabilities and energy efficient power savings. The family consists of 8, 16, 24 and 48-port versions that are scalable from small workgroups to highly dense aggregation solutions at the branch office requiring Gigabit Ethernet. In addition, the 24 and 48-port model has combo smal form-factor pluggable (SFP) ports for connecting the switch to other networking equipment located beyond the 100m distance limitations for copper cabling.